We make publishing a book obtainable, affordable, and enjoyable. What is God teaching you? Post Length: We are looking for posts between 500-700 words long. Bio: Please include a 3-5 sentence bio. Photography/Graphics: If you have a graphic you would like to accompany the post, you may submit a square image, within the black, white and gray color scheme. Please include a headshot of yourself to accompany your bio. Links: You may include a link to your blog, services, and Instagram handle below the post. Disclaimer: All posts must be original, written by you, and not previously posted online. If we decide to use your post on either our UNITED HOUSE Publishing Blog or our UHP Membership Newsletter, you will be notified. We ask that you share a portion of the post on your personal website and link to our site for the full post. Once submitted, you give UNITED HOUSE Publishing the rights to use either on our website or newsletter with credit given to you, the original author. 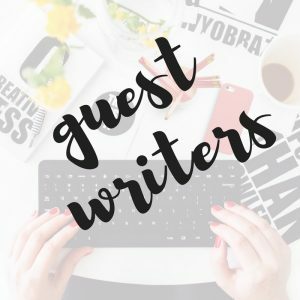 Please submit all guest post ideas here. Please contact info@unitedhousepublishing.com with any questions. I self-published my first book. So, teaming up with UNITED HOUSE has impacted me, because it has given me the opportunity to JUST write, and leave the rest up to the team. The reason why I love UNITED HOUSE Publishing is because all you have to do is write, and they take care of the rest. It's simple and I LOVE IT! I love UNITED HOUSE Publishing because they "get" my story and they believe in me. They are great at encouraging and helping me meet my deadlines. UNITED HOUSE Publishing has been like the roadblock-remover to my dreams and my calling. It's because of them that I have got to become all I have dreamed of: An Author! © 2019 · All content on this website is ©UNITED HOUSE Publishing and may not be used without permission.